Every day is a party day! JEE’S handmade garland of supple cowhide, colors are neutrals mixed with mint. Each garland contains 11 leather flags. 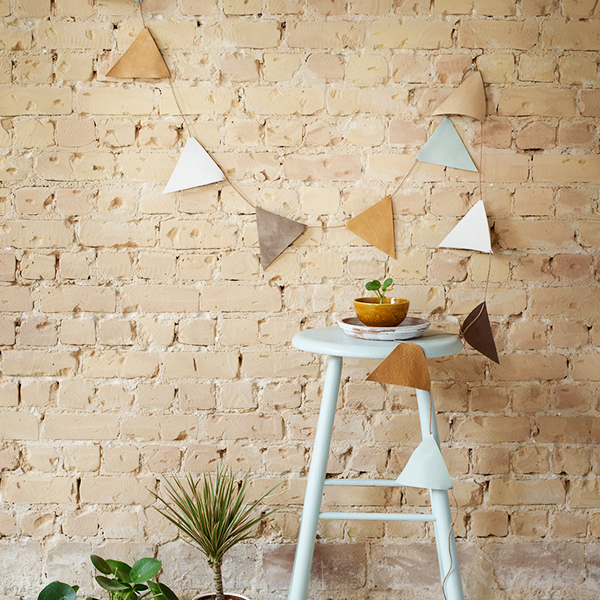 JEE’S leather garland is a stylish addition to your interior.